OPENING NIGHT: For classically trained Black jazz piano prodigy Dr. Don Shirley and his white chauffeur and bodyguard Tony Lip, a 1962 concert tour of the American South proves an eye-opening experience in unanticipated ways. Peter Farrelly’s sharply observed drama, spiked with wry humor and inspired by real-life events, features the prodigiously gifted Oscar® winner Mahershala Ali (Moonlight, MVFF 2016) as the ultra-sophisticated, polylingual Shirley, an elegant, mannered outsider wherever he goes and a transformed Viggo Mortensen (Captain Fantastic) as his truculent, semi-illiterate lip. Tooling around rural roads in a highly conspicuous turquoise Cadillac and getting into—and barely out of—life-threatening encounters together, each starts to see the real man beyond the other’s surface. The period details are spot-on, and so are the hate and the horror that greet a Black man in the Jim Crow South. Ali and Mortensen are pitch-perfect as an improbably matched pair, often at loggerheads, whose journey reaps unexpected and enduring rewards. 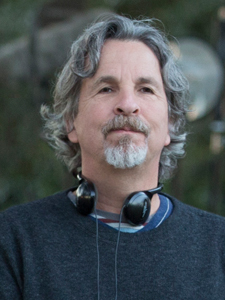 Peter Farrelly is a director, producer, executive producer, screenwriter, and published novelist widely known for the star-driven comedy blockbuster movies he made with his brother Bob such as There’s Something About Mary, Kingpin, Shallow Hal, Stuck on You, Fever Pitch, and, of course, Dumb and Dumber. Most recently, the television series Loudermilk, which Farrelly created and executive produces, was renewed for a second season by the AT&T Audience Network. Following the box-office success of Dumb and Dumber, the writing, producing, and directing duo known collectively as the “Farrelly Brothers” collaborated on nearly 20 films and television projects. Born in Phoenixville, Pennsylvania, Farrelly graduated from Providence College in Rhode Island and studied for his master’s at the University of Massachusetts at Amherst before transferring to Columbia University in New York, where he graduated with a MFA degree in creative writing.